Either a judicial foreclosure in the form of a bill of equity, or a sale by advertisement pursuant to a power of sale clause in a deed of trust is permitted in Virginia. In Virginia, a mortgage may be forclosed by filing a type of lawsuit known as a bill in equity. When and if necessary, a deed of trust could also be foreclosed through court action. In either case, a court order can be issued which specifies the terms and conditions of the sale, which are controlled by the mortgage contract Commissioners are appointed to handle such sales. The court must confirm the sale. The trustee under the deed of trust may accelerate the note, give the necessary preliminary notices, and arrange the foreclosure sale. The foreclosure sale ad must include anything required by the deed of trust and may include a legal description of the property, a street address and a tax map identification or general information about the property's location. The notice must include the time, place and terms of sale. It must give the name of the trustee and the address and phone number of a person who will be able to respond to inquiries about the foreclosure sale. Even if the deed of trust provides for advertising, ads should be published no less than once a day for three days, which may be consecutive days. If the deed of trust does not provide for advertising, then the ad shall be run once a week for four successive weeks. However, near a city, an ad on five different days, which may be consecutive, will be sufficient. The sale must be made no earlier than eight days after the first ad and no more than 30 days after the last advertisement. Written one-price bids may be made and received by the trustee for entry by announcement at the foreclosure sale. Any bidder who attends the foreclosure may inspect the written bids. The sale is to be made at auction to the highest bidder. Unless otherwise required by the deed of trust, the trustee may require a bidder to make a 10 percent cash deposit. The trustee must apply the proceeds of the sale first to expenses of the sale, including a 5 percent trustee's commission, second to unpaid taxes, assessments and levies, third to liens in order of their priority and the balance, if any, to the borrower. 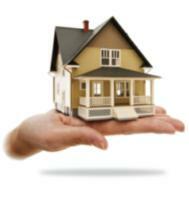 The trustee will execute and deliver a deed to the buyer. A lender may pursue a borrower for a deficiency judgment in Virginia. No limits are imposed.